G.R. No. 109248 July 3, 1995 - GREGORIO F. ORTEGA, ET AL. v. COURT OF APPEALS, ET AL. G.R. No. 110558 July 3, 1995 - PEOPLE OF THE PHIL. v. CELEDONIO B. DE LEON, ET AL. G.R. No. 112279 July 3, 1995 - PEOPLE OF THE PHIL. v. ROBERT ALBAN, ET AL. G.R. No. 114698 July 3, 1995 - WELLINGTON INVESTMENT AND MANUFACTURING CORPORATION v. CRESENCIANO B. TRAJANO, ET AL. G.R. No. 110240 July 4, 1995 - ENJAY INC. v. NATIONAL LABOR RELATIONS COMMISSION, ET AL. G.R. No. 109036 July 5, 1995 - BARTOLOME F. MERCADO v. COURT OF APPEALS, ET AL. G.R. Nos. 103560 & 103599 July 6, 1995 - GOLD CITY INTEGRATED PORT SERVICE, INC. v. NATIONAL LABOR RELATIONS COMMISSION, ET AL. G.R. No. 109166 July 6, 1995 - HERNAN R. LOPEZ, JR. v. NATIONAL LABOR RELATIONS COMMISSIONS, ET AL. G.R. Nos. 112973-76 July 6, 1995 - PEOPLE OF THE PHIL. v. FERNANDO PAGCU, JR.
G.R. No. 110321 July 7, 1995 - HILARIO VALLENDE, ET AL. v. NATIONAL LABOR RELATIONS COMMISSION, ET AL. G.R. No. 112629 July 7, 1995 - PHIL. 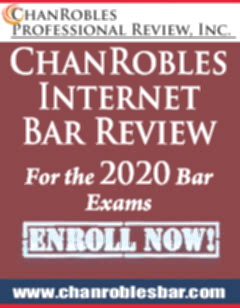 NATIONAL CONSTRUCTION CORPORATION v. NATIONAL LABOR RELATIONS COMMISSION, ET AL. G.R. No. 118644 July 7, 1995 - EPIMACO A. VELASCO v. COURT OF APPEALS, ET AL. G.R. No. 102930 July 10, 1995 - BONIFACIO MONTILLA PEÑA v. CA, ET AL. G.R. No. 119055 July 10, 1995 - ROY RODILLAS v. COMMISSION ON ELECTIONS, ET AL. G.R. No. 109370 July 11, 1995 - ROGELIO PARMA v. COURT OF APPEALS, ET AL. G.R. No. 110015 July 11, 1995 - MANILA BAY CLUB CORP. v. COURT OF APPEALS, ET AL. G.R. No. 116008 July 11, 1995 - METRO TRANSIT ORGANIZATION, INC. v. NATIONAL LABOR RELATIONS COMMISSION, ET AL. G.R. No. 79896 July 12, 1995 - PEOPLE OF THE PHIL. v. DELFIN L. REYES, ET AL. G.R. No. 114167 July 12, 1995 - COASTWISE LIGHTERAGE CORPORATION v. COURT OF APPEALS, ET AL. G.R. No. 109573 July 13, 1995 - SEVEN BROTHERS SHIPPING CORPORATION v. COURT OF APPEALS, ET AL. G.R. No. 110580 July 13, 1995 - MANUEL BANSON v. COURT OF APPEALS, ET AL. G.R. No. 110930 July 13, 1995 - OSCAR LEDESMA AND COMPANY, ET AL. v. NATIONAL LABOR RELATIONS COMMISSION, ET AL. G.R. No. 116049 July 13, 1995 - PEOPLE OF THE PHIL. v. EUSTAQUIO Z. GACOTT, JR., ET AL. Adm. Matter No. MTJ-94-932 July 14, 1995 - JESUS F. MANGALINDAN v. COURT OF APPEALS, ET AL. Adm. Matter No. P-94-1030 July 14, 1995 - GABRIEL C. ARISTORENAS, ET AL. v. ROGELIO S. MOLINA, ET AL. G.R. Nos. L-66211 & L-70528-35 July 14, 1995 - ARTURO Q. SALIENTES v. INTERMEDIATE APPELLATE COURT, ET AL. G.R. Nos. 82220, 82251 & 83059 July 14, 1995 - PABLITO MENESES v. COURT OF APPEALS, ET AL. G.R. No. 88384 July 14, 1995 - FEDERATION OF LAND REFORM FARMERS OF THE PHILIPPINES, ET AL. v. COURT OF APPEALS, ET AL. G.R. No. 89103 July 14, 1995 - LEON TAMBASEN v. PEOPLE OF THE PHIL., ET AL. G.R. No. 91494 July 14, 1995 - CONSOLIDATED BANK AND TRUST CORPORATION v. COURT OF APPEALS, ET AL. G.R. Nos. 92167-68 July 14, 1995 - PEOPLE OF THE PHIL. v. JOSE R. LEGASPI, ET AL. G.R. No. 96489 July 14, 1995 - NICOLAS G. SINTOS v. COURT OF APPEALS, ET AL. G.R. No. 98920 July 14, 1995 - JESUS F. IGNACIO v. COURT OF APPEALS, ET AL. G.R. No. 101135 July 14, 1995 - TEODORO RANCES v. NATIONAL LABOR RELATIONS COMMISSION, ET AL. G.R. No. 101286 July 14, 1995 - GIL RUBIO v. COURT OF APPEALS, ET AL. G.R. No. 101875 July 14, 1995 - CASIANO A. NAVARRO III v. ISRAEL D. DAMASCO, ET AL. G.R. No. 102297 July 14, 1995 - NEW TESTAMENT CHURCH OF GOD v. COURT OF APPEALS, ET AL. G.R. No. 102993 July 14, 1995 - CALTEX REFINERY EMPLOYEES ASSOC., ET AL. v. NATIONAL LABOR RELATIONS COMMISSION, ET AL. G.R. No. 104639 July 14, 1995 - PROVINCE OF CAMARINES SUR v. COURT OF APPEALS, ET AL. G.R. No. 104682 July 14, 1995 - CAPITOL WIRELESS, INC. v. VICENTE S. BATE, ET AL. G.R. No. 105763 July 14, 1995 - LORENDO QUINONES, ET AL. v. NATIONAL LABOR RELATIONS COMMISSION, ET AL. G.R. No. 106279 July 14, 1995 - SULPICIO LINES, INC. v. COURT OF APPEALS, ET AL. G.R. No. 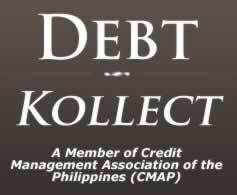 108870 July 14, 1995 - PHILIPPINE NATIONAL BANK, ET AL. v. COURT OF APPEALS, ET AL. G.R. No. 109680 July 14, 1995 - DIEGO RAPANUT v. COURT OF APPEALS, ET AL. G.R. No. 111515 July 14, 1995 - JACKSON BUILDING CONDOMINIUM CORP., ET AL. v. NATIONAL LABOR RELATIONS COMMISSION, ET AL. G.R. No. 112399 July 14, 1995 - AMADO S. BAGATSING v. COMMITTEE ON PRIVATIZATION, ET AL. G.R. No. 112679 July 14, 1995 - COUNTRY BANKERS INSURANCE CORPORATION v. NATIONAL LABOR RELATIONS COMMISSION, ET AL. G.R. No. 113448 July 14, 1995 - DANILO Q. MILITANTE, ET AL. v. NATIONAL LABOR RELATIONS COMMISSION, ET AL. G.R. No. 113578 July 14, 1995 - SUPLICIO LINES, INC. v. COURT OF APPEALS, ET AL. G.R. No. 118597 July 14, 1995 - JOKER P. ARROYO v. HOUSE OF REPRESENTATIVES ELECTORAL TRIBUNAL, ET AL. G.R. No. 53877 July 17, 1995 - GREGORIO LABITAD, ET AL. v. COURT OF APPEALS, ET AL. G.R. No. 109809 July 17, 1995 - VALLACAR TRANSIT, INC. v. NATIONAL LABOR RELATIONS COMMISSION, ET AL. G.R. No. 110910 July 17, 1995 - NATIONAL SUGAR TRADING CORPORATION, ET AL. v. COURT OF APPEALS, ET AL. G.R. No. 111797 July 17, 1995 - CARLOS ANG GOBONSENG, JR., ET AL. v. COURT OF APPEALS, ET AL. G.R. No. 112060 July 17, 1995 - NORBI H. EDDING v. COMMISSION ON ELECTIONS, ET AL. G.R. No. 112127 July 17, 1995 - CENTRAL PHILIPPINE UNIVERSITY v. COURT OF APPEALS, ET AL. G.R. No. 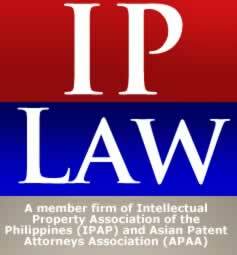 112230 July 17, 1995 - NORKIS DISTRIBUTORS, INC. v. NATIONAL LABOR RELATIONS COMMISSION, ET AL. G.R. No. 108789 July 18, 1995 - PEOPLE OF THE PHIL. v. ABE ROSARIO, ET AL. G.R. No. 115115 July 18, 1995 - CONRAD AND COMPANY, INC. v. COURT OF APPEALS, ET AL. G.R. No. 107439 July 20, 1995 - MICHAEL T. UY v. COURT OF APPEALS, ET AL. G.R. No. L-114382 July 20, 1995 - PEOPLE OF THE PHIL. v. ESTEBAN ACOB, ET AL. G.R. No. 115884 July 20, 1995 - CJC TRADING, INC., ET AL. v. NATIONAL LABOR RELATIONS COMMISSION, ET AL. G.R. No. 117932 July 20, 1995 - AVON DALE GARMENTS, INC. v. NATIONAL LABOR RELATIONS COMMISSION, ET AL. G.R. Nos. 106425 & 106431-32 July 21, 1995 - SECURITIES AND EXCHANGE COMMISSION v. COURT OF APPEALS, ET AL. G.R. No. 107495 July 31, 1995 - PEOPLE OF THE PHIL. v. CARLO Y. UYCOQUE, ET AL. G.R. No. 111905 July 31, 1995 - ORIENTAL MINDORO ELECTRIC COOPERATIVE, INC. v. NATIONAL LABOR RELATIONS COMMISSION, ET AL.